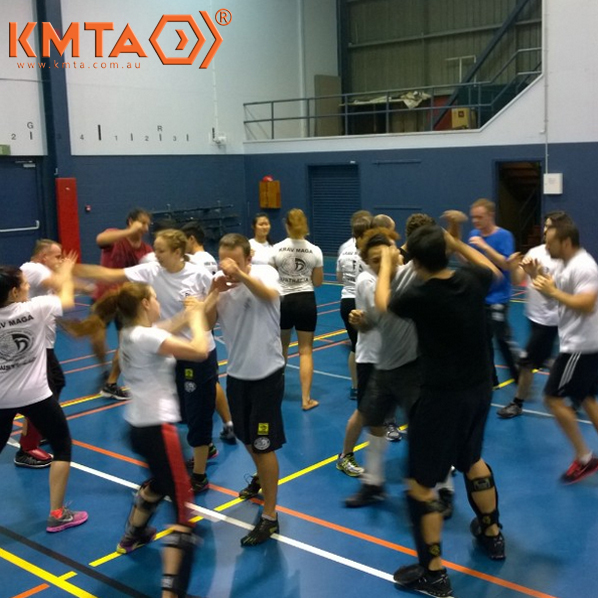 For men & women 16-years and older, you just can't go past Krav Maga for self-defence & defensive tactics training. 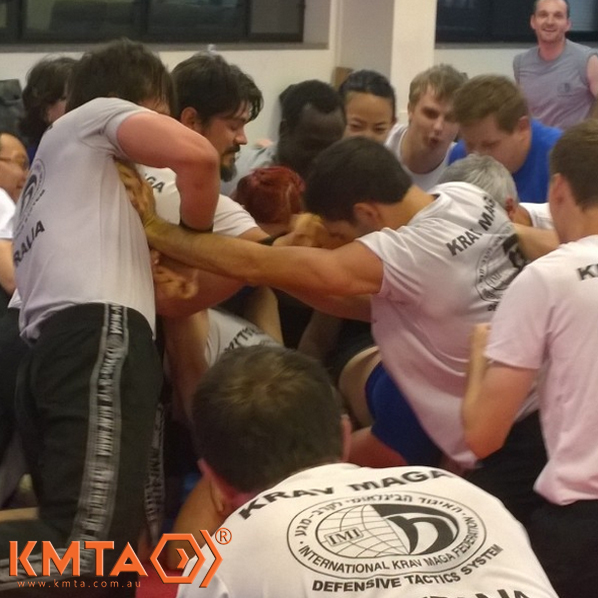 Whether you are serious about your personal safety, want to improve your current skills, or just want to do something different to keep fit, Krav Maga is for you! 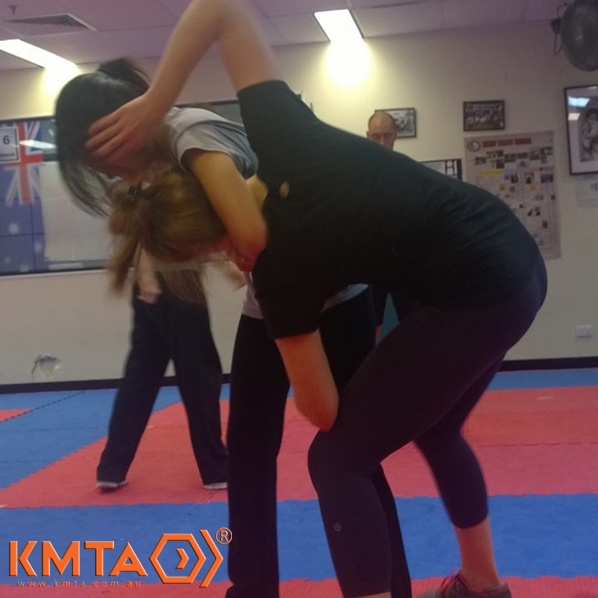 We build your skills, confidence, ability, and determination when it comes to surviving an attack from single or multiple opponents, whether armed or not. 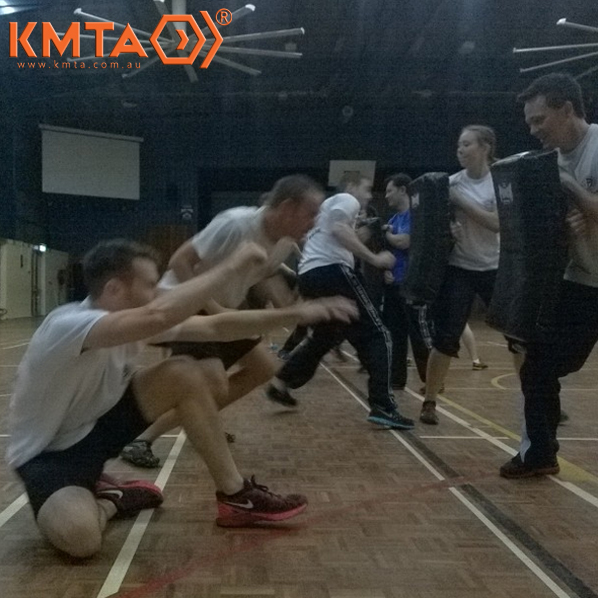 Just as importantly, we train you to reduce the chance of injury to yourself, all the while having fun and increasing fitness. 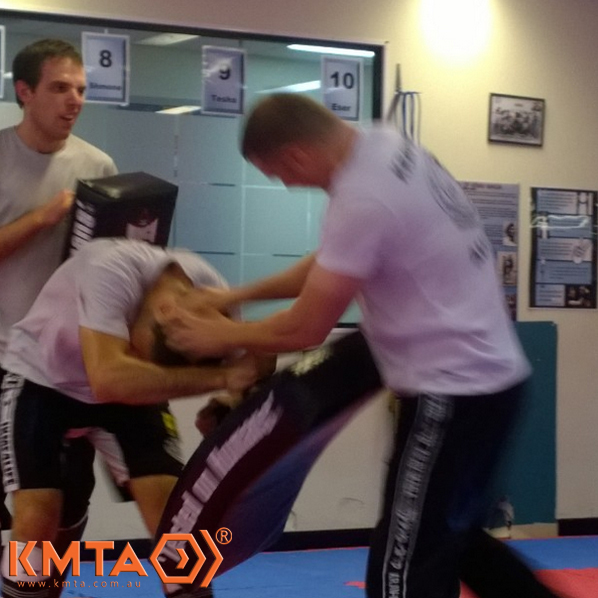 Whether your goals are to protect yourself, others, or just fun and fitness, we will help you achieve them! 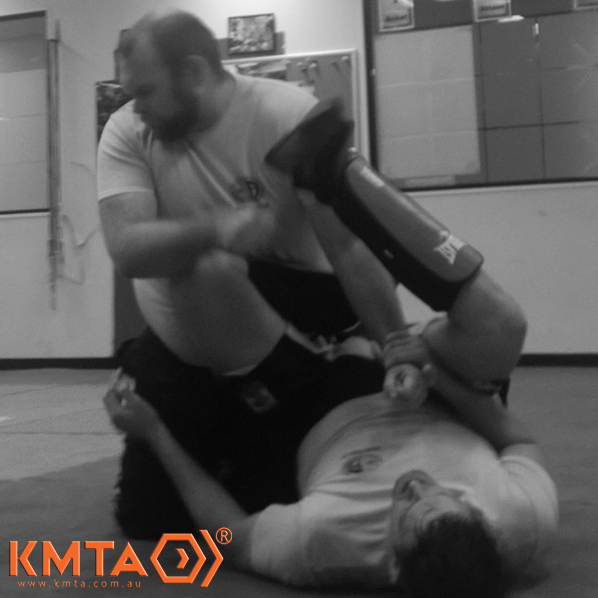 NOTE: Do not think that you are only training in "Civilian" Krav Maga, or that you are getting a "weak watered-down" version of the "good stuff". This is simply not true! 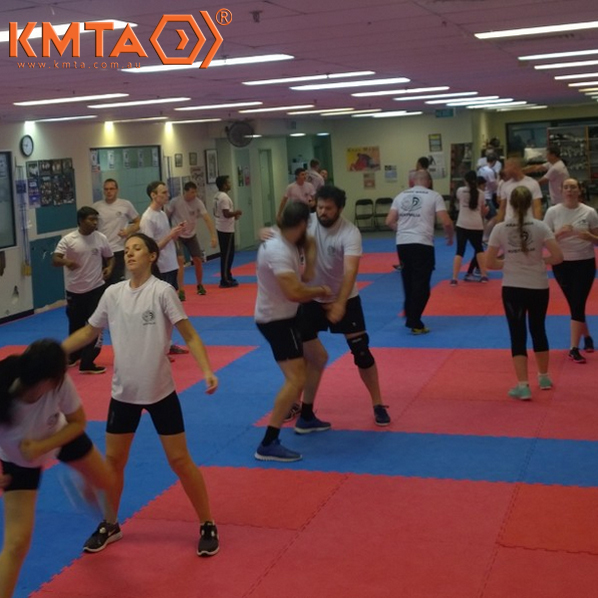 Civilian Krav Maga just means that all the techniques have been adapted to the legalities and types of problems that civilians are more likely to face in the real world, such as street assaults, bar fights or domestic violence. 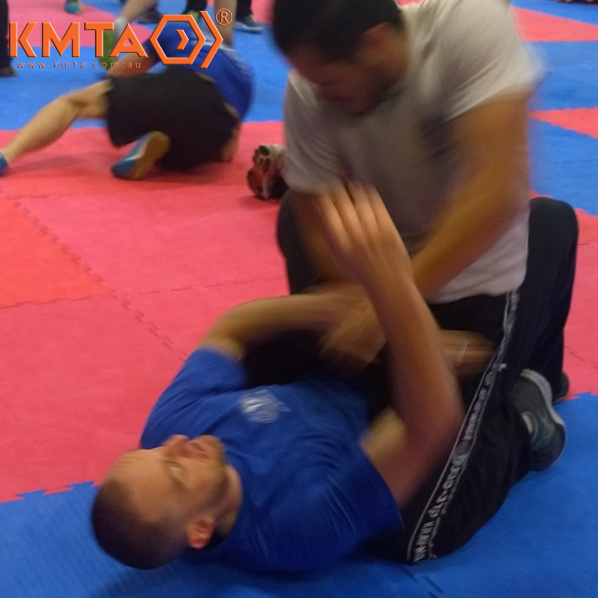 There is nothing soft or weak about training in Krav Maga, regardless of what area you are entitled to train in! It is the most realistic, no-nonsense self defence system around! Come in and see for yourself. We have an open door policy with all our regular classes where anyone may come and observe the session, or part of a public workshop. 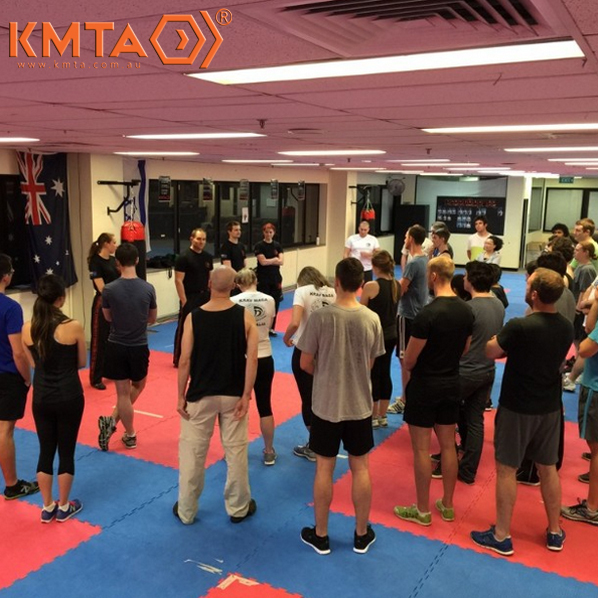 Click here to email us your interest NOW in attending regular classes or workshops!